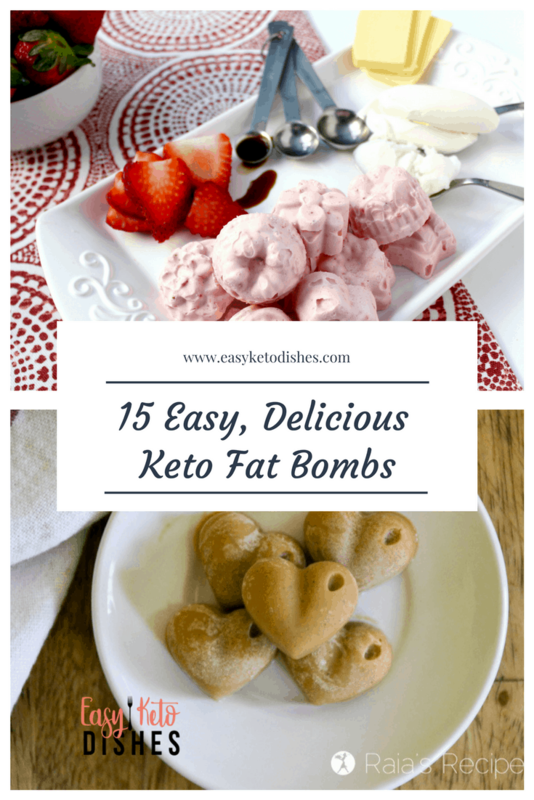 15 Easy Delicious Keto Friendly Fat Bombs-Get Your Fats On! Get your healthy fats on with these 15 easy to make, delicious keto fat bombs. In nature, protein is usually surround by fats. Eggs with yolks and whites, steaks or roasts with fat marbled in, and even some produce. Nuts, avocados, and olives also have fats. Adding in healthy fats to your keto diet will help you feel full and satisfied with little carbs. 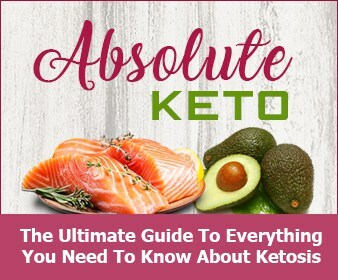 Eating a keto diet means that you keep your ratios to 65%-75% fat, 20%-30% protein, and 5%-10% carbs. What this may look like in actual numbers is 20 net grams of carbs or less per day, 50–75 grams of protein for women/100–125 grams of protein for men per day, and at least a 1:1 up to a 1:2 ratio of protein to fat for everyone. That’s sounds difficult, but it’s in fact pretty easy. 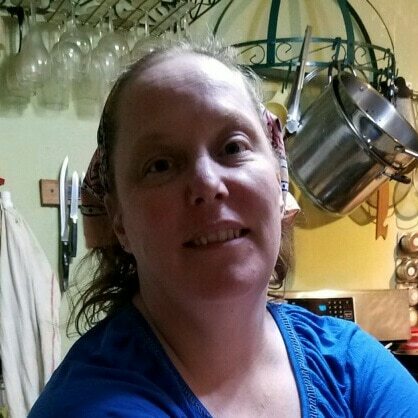 Adding in unsweetened ice tea or water for drinks, or coffee with heavy cream will help you easily meet your fat needs. 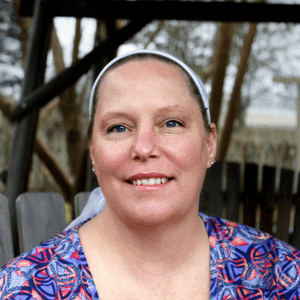 Unlike popular low carb diets, eating keto means that you focus on FATS, not proteins. Your body doesn’t need excessive amounts of protein to be healthy, really. Your body really just needs healthy fats to feel full, keep running at an optimum level and to maintain a healthy blood sugar level. Somedays, you just need an extra bit of a fat boost. Or, you might be having a sugar craving and need to replace your past sweets with a healthy treat. Fat bombs can help with both of those needs. 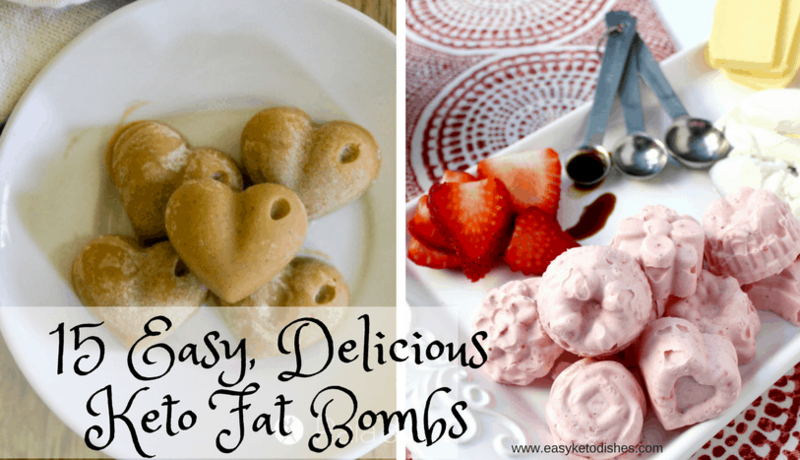 If you aren’t sure what a fat bomb is, it’s basically a healthy fat, such as nut butter, mixed with a healthy oil such as coconut and made into bite size treats. Which fat bomb will you try first? Be sure to pin this for later! « Easy Keto Pumpkin Pie Cloud Bread-just like pumpkin pie! Wow- such a great variety of healthy treats!